The Cisco Meraki Z-Series teleworker gateway is an enterprise class firewall, VPN gateway and router. 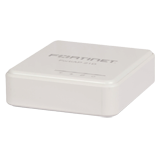 Each model offers five gigabit ethernet ports and wireless for connectivity. Each model is designed to securely extend the power of Meraki cloud managed networking to employees, IT staff, and executives working from home. Using Meraki’s proven and highly scalable Auto VPN technology, administrators can deploy network services including VoIP and remote endpoints with automatic, zero-touch provisioning. 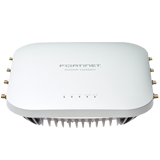 Additionally the Z series provides secure wired and wireless access, and increases end-user productivity through Layer 7 traffic shaping. All models feature a high-performance stateful firewall, support for VLANs, inter-VLAN routing, and isolation to segregate corporate data from recreational traffic. The Z3 offers the latest in wireless performance with 802.11ac Wave 2 technology with MU-MIMO support to provide reliable and high speed network access for most demanding business applications and latest devices. 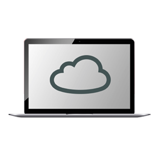 All Meraki devices are managed via the Meraki cloud, with an intuitive browser-based interface. Since the Z series is selfconfiguring and managed over the web, you can repidly deploy at remote locations without any assistance from end-users. Meraki Cloud services monitor all devices 24×7 and deliver realtime alerts if any device encounters a problem. Remote diagnostics tools enable real-time troubleshooting through any web browser. New features and enhancements are delivered seamlessly over the web, so you never have to manually download software updates or worry about missing security patches.